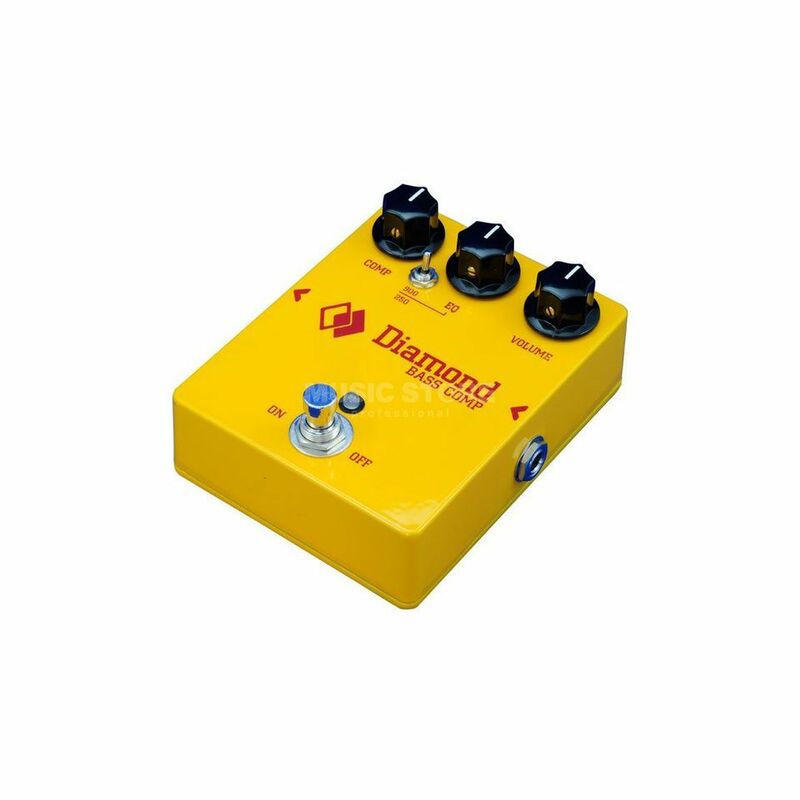 The Diamond Bass Compressor Effect Pedal has become one of Diamond’s most well known products, loved by players for its smooth response and ability to enhance your instruments tone. This is the first Diamond pedal designed specifically for bass players. With low frequency response extending down to 20Hz and increased headroom, the Bass Compressor is ideal for 4/5/6 string basses, both active and passive. Diamond have also voiced the Tilt EQ control, offering bassists the choice of the original 900Hz tilt point or a new 250Hz setting, accessible via a mini toggle. Premium audio components, including 2% polypropylenecapacitors,1% metal film resistors and a pro audio grade opamp (our signal path opamp alone costs 8 to 10 times what the industry norm uses).